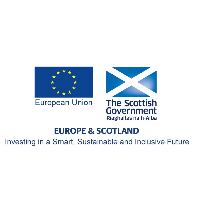 The Scottish Government, as Managing Authority for ERDF and ESF in Scotland, has developed a 2014-2020 Communications Strategy and Publicity Requirements. The documents cover all aspects of promotion and set out the requirements expected of Scottish Government staff publicising ESIF, lead partners and also organisations receiving funding for individual projects. The documents are updated regularly and it is essential that organisations delivering publicity activity consult the documents on a regular basis to ensure they remain fully informed.